Eagle Group is a wholly owned subsidiary of AIMCO. For more than 35 years, Eagle has served industries around the globe with air and electric tools. Whether you need tools for material removal, finishing, maintenance, automotive or assembly, Eagle has the tool for you. Eagle’s value-priced industrial quality tools and air tool accessories are the perfect solution for just about any job! 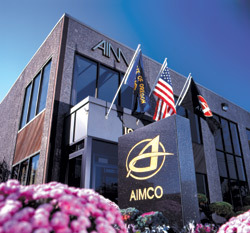 Eagle Group resides in AIMCO's corporate complex located in Portland, Oregon. The master warehouse in Portland, Oregon houses over 42,000 square feet of tools, parts and accessories. Tool University provides in-depth, hands-on product training for our products. We provide you with exceptional customer service, on-time delivery and a diverse product offering that gives your customers just what they’re looking for!